I’ve had the Whamisa Organic Flowers for several months now. Its draft has been sitting in my folders for a long time too. The thing is I don’t know how I’ll go about this review. I’ve been organizing my thoughts every week but I never felt it was ready. Until now that is. I think those long months are enough for me to tell you my thoughts regarding this toner. The Whamisa Organic Flowers Deep Rich Essence Toner is a liquid concentrate infused with organic botanical extracts for a quick boost of hydration and nourishment. 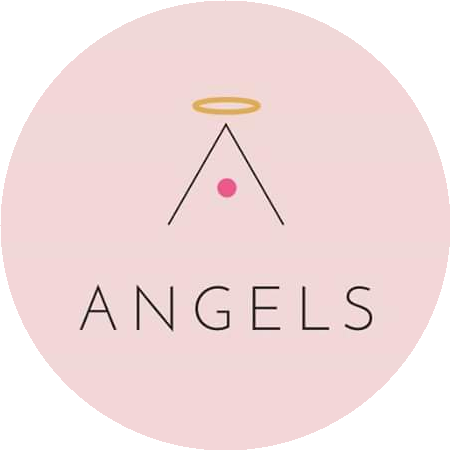 For all skin types, from dry skin to oily skin. 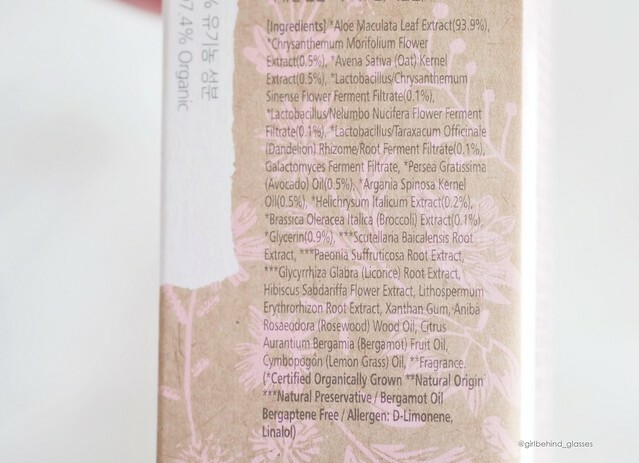 A clear favorite in Korean skin care. Whamisa utilizes a natural fermentation process to distill and preserve the potency of select natural ingredients. This facial toner has uniquely bouncy, cushiony texture and is formulated with Aloe Vera extract, Chrysanthemum extract and Oat Kernel to moisturize and nourish skin. The Organic Flowers Deep Rich Essence Toner is crafted with a 97.5% organic formula also includes fermented Dandelion and Argan Oil to improve skin texture and leave skin dewy and deeply rehydrated, especially when used in the ‘7 Skin Method.’ BDIH Standard Certified. 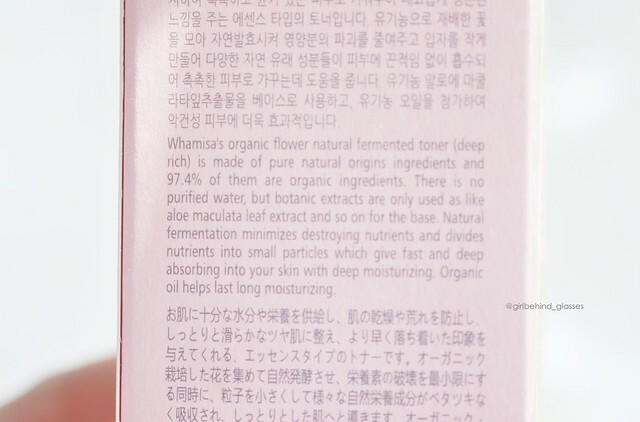 The Whamisa Organic Flowers Deep Rich Essence Toner has the most aesthetically beautiful bottle I have ever, ever seen in a toner. It has a thick glass decorated with some pink flowers on the outside. One bottle contains 120ml of liquid. I remember ordering this because of the hype and it was also around this time I was really getting into the whole korean skincare, or rather the 10-step routine. Another reason is it’s supposedly compatible with all skin types, at least according to Glow Recipe. 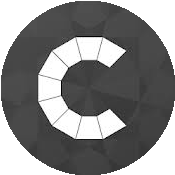 The texture is quite thick and it takes a couple of seconds before my skin fully absorbs it. It has a tacky finish and it also takes a while for it to disappear and I mean “a long while“. It has a strong herbal/citrus scent. Some days I don’t mind the smell but there times I find it too much for my nose. It doesn’t last long though if that worries you. My skin looks dewy enough with just one layer of it and since it was popularized for the 7-skin method, I tried layering it to as much as my face could handle, which is only up to 3 layers. The formula is definitely hydrating but too hydrating for my skin type. When I use this, I rarely add another essence or serums afterwards. I immediately go to my night cream. My concern regarding the ingredients is the presence of Bergamot Oil. It is an essential oil and is typically found in fragrances but it can cause photosensitivity. Photosensitizing agents increase sensitivity to the sun and may cause skin redness, sunburn and eventually hyperpigmentation. I only prescribe this oil to my patients who have vitiligo. Moving on, this is the toner I use the least among the opened ones in my stash because it’s the most viscous. I have never used this in the day; it’s always at night and never for more than a week. 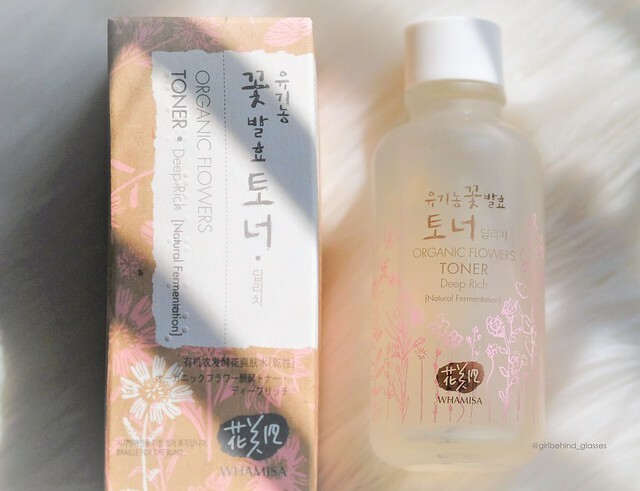 I know it’s a bit unorthodox coming from me to write this review when I have never used this continuously for at least 3 weeks but I don’t think this is the type of toner that needs that kind of long usage before seeing results. I mean, it did a good job in providing intense hydration to my skin on the first day. So to end this, what I want to say is this toner is not for me — I should probably get the Refresh variant instead. This is a good hydrating toner, don’t get me wrong but it’s not for my oily skin. Because it’s getting warmer and more humid here in the Philippines — I’m not sure if summer has already started — I don’t think I can use this anymore in the coming months. Well, just until summer ends, then after that, when the climate’s not as hot anymore, I may be able to go back to this. 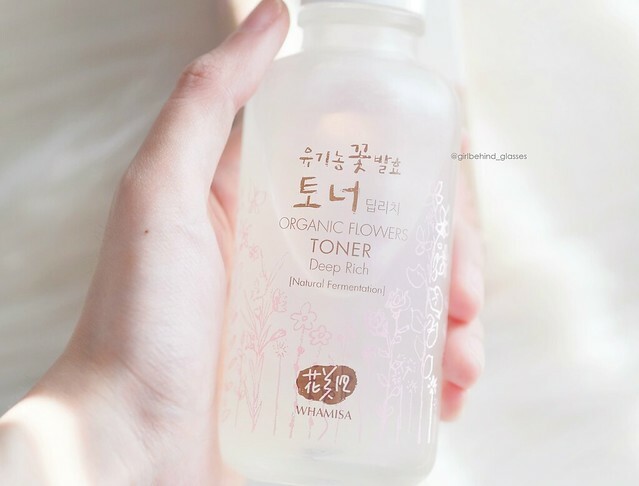 Who has tried this toner? A show of hands please!